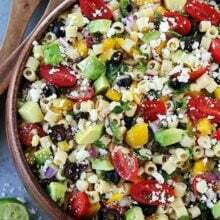 7 Summer Pasta Salad recipes that are perfect for summer barbecues, picnics, and pool parties! Summer has officially started and that means barbecues, picnics, pool parties, and easy dinners are in full swing! It also means that everyone needs a killer side dish to take to these summer shindigs. Pasta salads are always welcome, no matter what the occasion is. 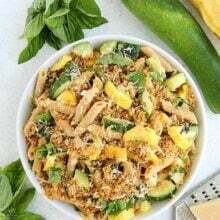 Pasta salads are a summer staple and today we are sharing 7 Summer Pasta Salads that are family favorites. These easy summer side dishes will be the talk of any party. They are guaranteed crowd pleasers! So, let’s get this summer party started and make some pasta salads! 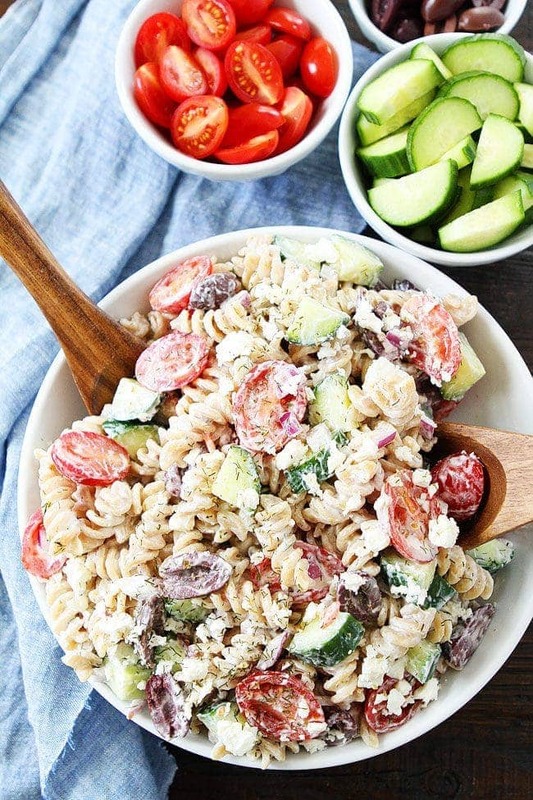 Creamy Greek Pasta Salad is made with tomatoes, cucumbers, olives, red onion, feta cheese, dill, and a simple Greek yogurt dressing. 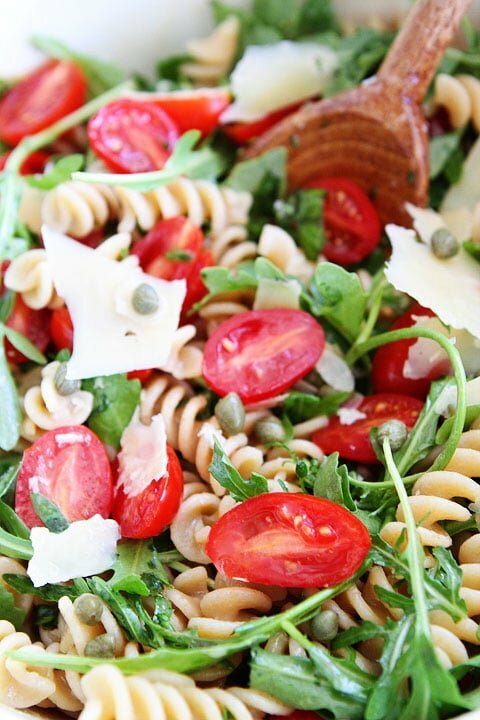 This no-mayo pasta salad is perfect for summertime. 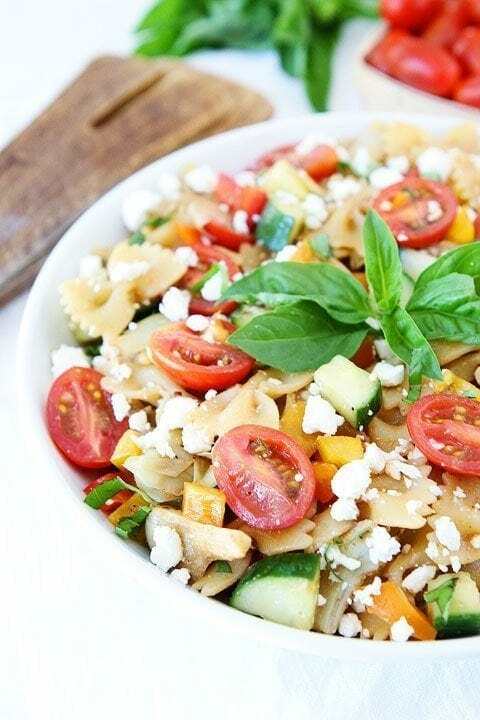 This healthy and delicious pasta salad only takes 20 minutes to make! Sometimes simple is best! This is hands down one of the most popular recipes on our blog. 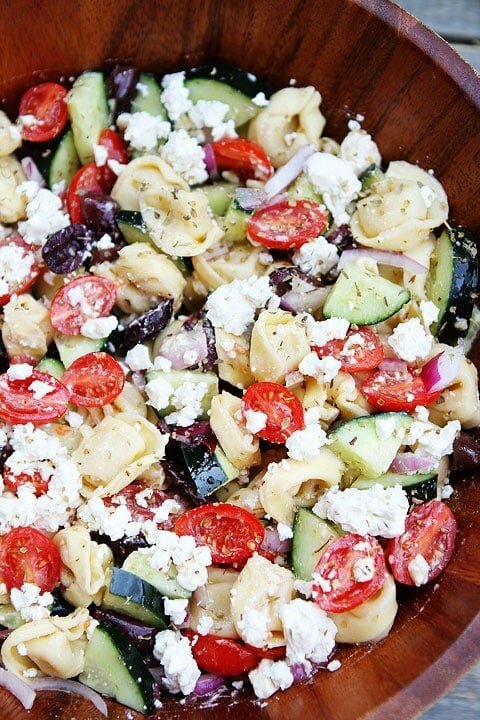 You HAVE to make this Greek Tortellini Salad this summer. It will for sure become a family favorite! Easy is my favorite word when it comes to cooking during the hot summer months. 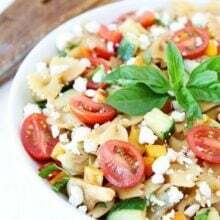 This pasta salad is super easy and filled with deliciousness. 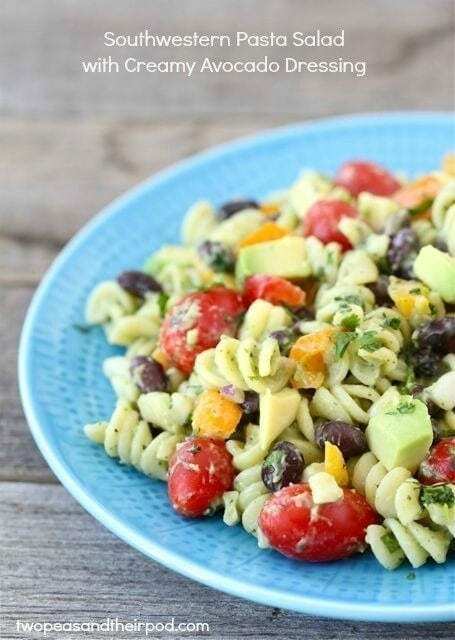 The creamy avocado dressing will have your friends and family begging for this pasta salad recipe! It’s soooo good! 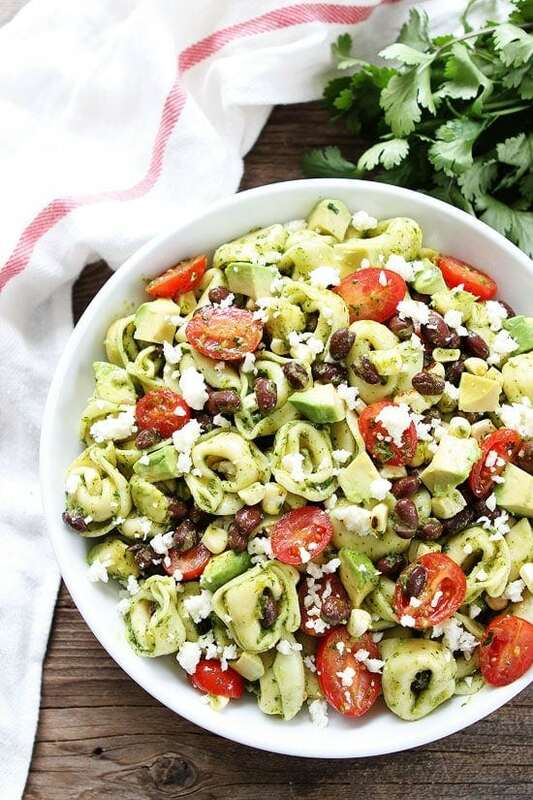 This cheese tortellini salad with black beans, tomatoes, corn, avocado, cotija cheese, and a simple cilantro vinaigrette is one of my very favorites! It is great served as a main dish or side dish. 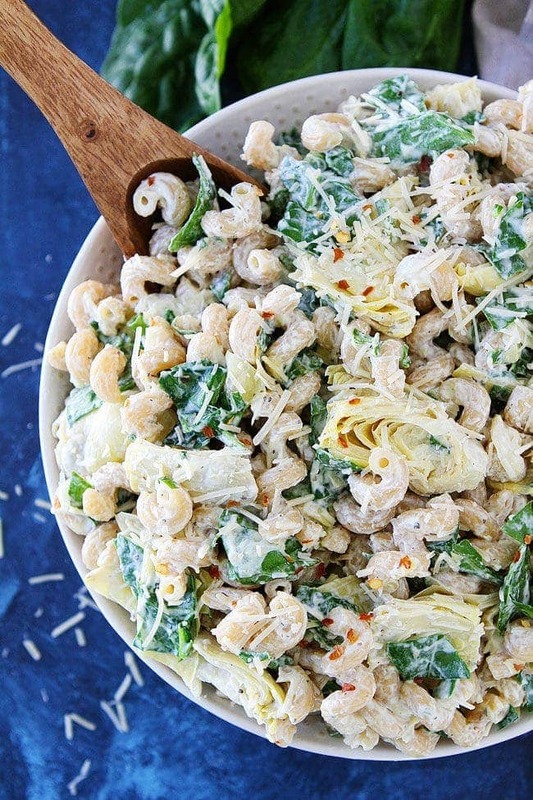 If you like the classic spinach artichoke dip, you will LOVE this easy pasta salad. It has all of the same flavors as the dip, but in pasta salad form. It’s a winner! Not sure which one to make first? I know, decisions, decisions! Good thing there is time to make them all this summer! Enjoy! 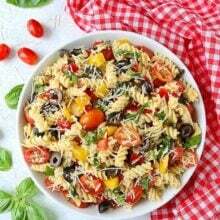 Pasta salad is perfect for summer! Great for events, beach lunches, or even just dinner with the family. Can’t wait to try all of these!